Moving out can often be very stressful and there are usually a lot of things you need to take care of. If you are expected to present the place you are vacating in the best possible condition to your landlord, that is yet another thing which adds to the unpleasant feelings associated with moving out. If you need a help with that annoying task, you can call our company and book our amazing bond cleaning service. Often times the landlords have a lot of expectations about how their property should look like before you move out. We wish we could tell you that you don’t need to meet all of them but unfortunately this is the only way you can be sure that you will get your full deposit back. We can assure you that if you book our bond cleaning service we will not only meet those expectations but we will also exceed them. Our company always strives towards a high quality of service. This is why we hire only the most experienced cleaners who have worked in this field for many years and they know how to use the right kind of tools and products in order to achieve the best results. If you choose our bond cleaning service we will definitely impress your landlord and he/ she will have no other choice but to give you back your full deposit. 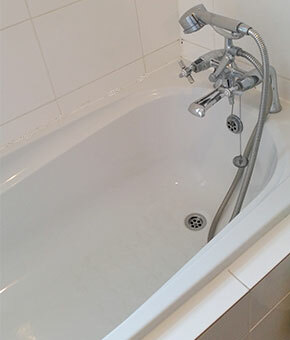 We can assure you that there is no other cleaning company in Perth which can guarantee you such amazing results. Another benefit of hiring us is that we offer a 48-hour guarantee and we can redo the cleaning of the property if there are complaints about our work and we will not charge you any additional fees.